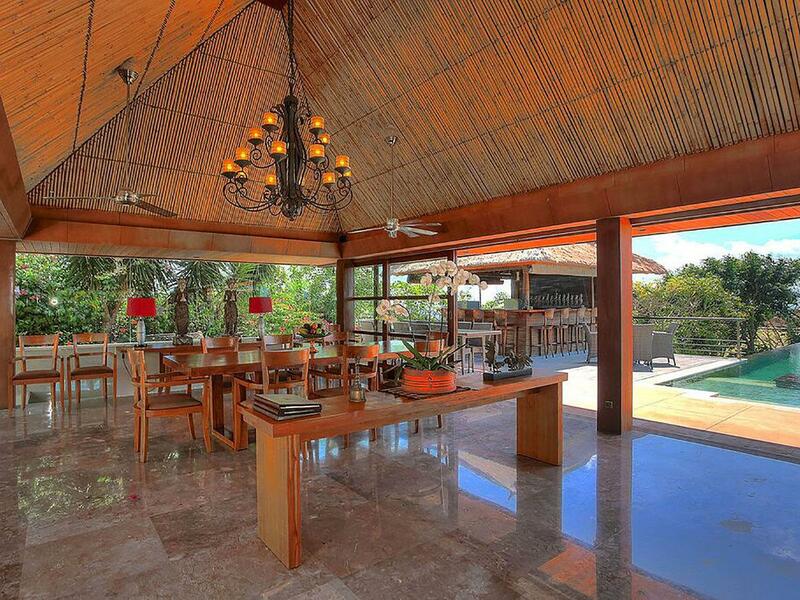 Villa Indah Manis and Bulan Madu form a hillside sanctuary on Bali’s Bukit Peninsula, home to many of the island’s best beaches. Each with its own swimming pool set in immaculate and generous landscaped gardens, bordered by a tree-lined valley, and with views of the ocean, the two villas make a great choice for weddings and celebrations. 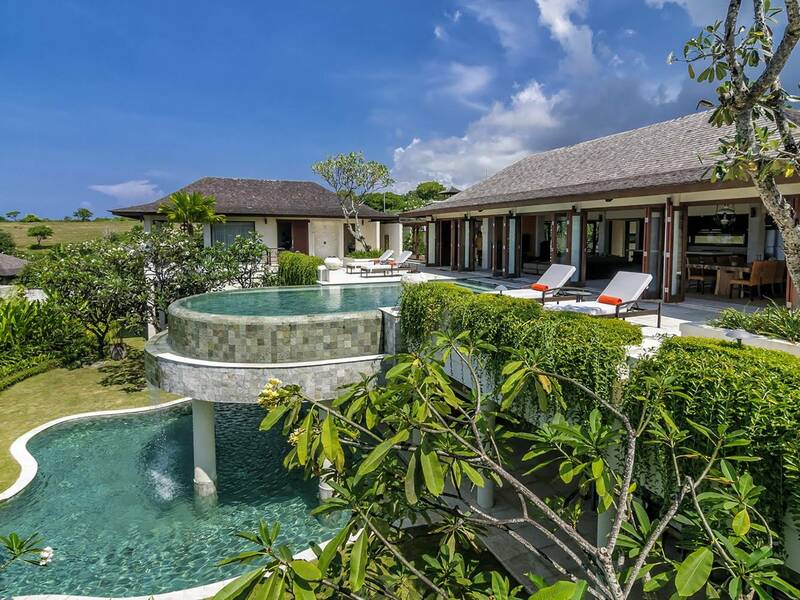 Villa Indah Manis is a glamorous five-bedroom villa with an abundance of facilities for all ages, including a spa, jacuzzi, fitness room, petanque court, pool table and games room with a home theatre. The villa comfortably sleeps ten adults and up to four children in a series of charming pavilions set within the gardens. 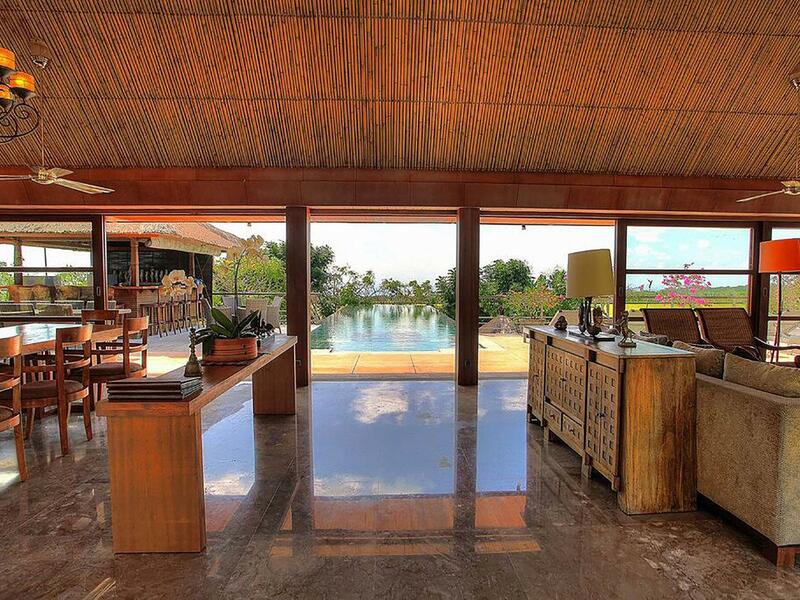 Tucked to one side of Villa Indah Manis and accessed through a traditional Balinese gateway, Villa Bulan Madu is a blissful one-bedroomed hideaway that will delight all romantic couples – be they honeymooners or otherwise. 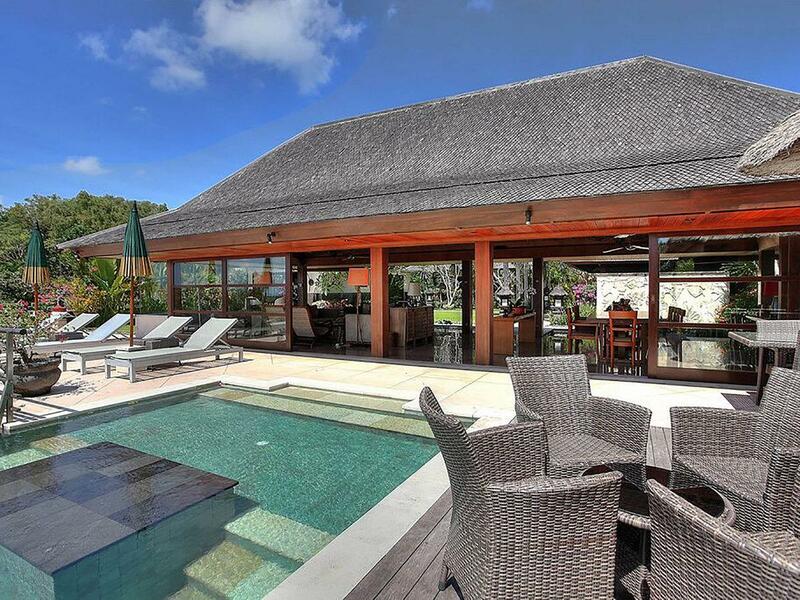 As well as a six-metre private swimming pool, this tranquil, self-contained villa features a semi-alfresco lounge, massive open-air bathroom and a dreamy bedchamber. Both villas are attended by a full complement of professional and discreet staff, including a friendly manager and talented chef, who will cook, clean and pamper their guests with five-star service. 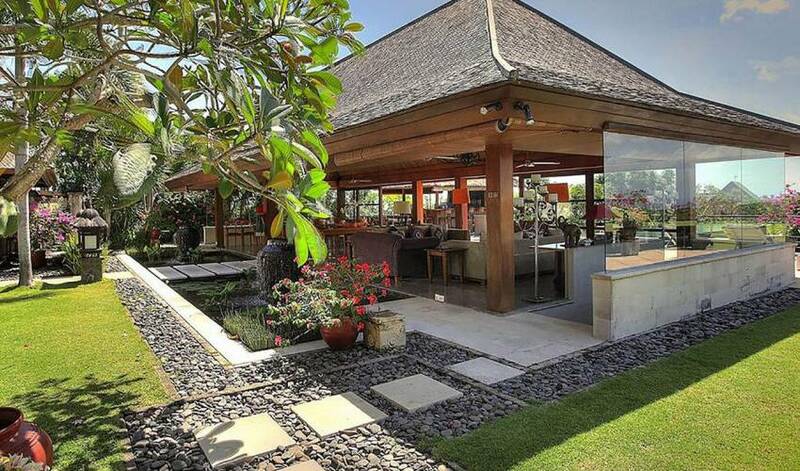 At Indah Manis we have drawn on our experience in the hospitality industry to create a destination villa that embraces all the ingredients of comfort, style, entertainment and recreation. 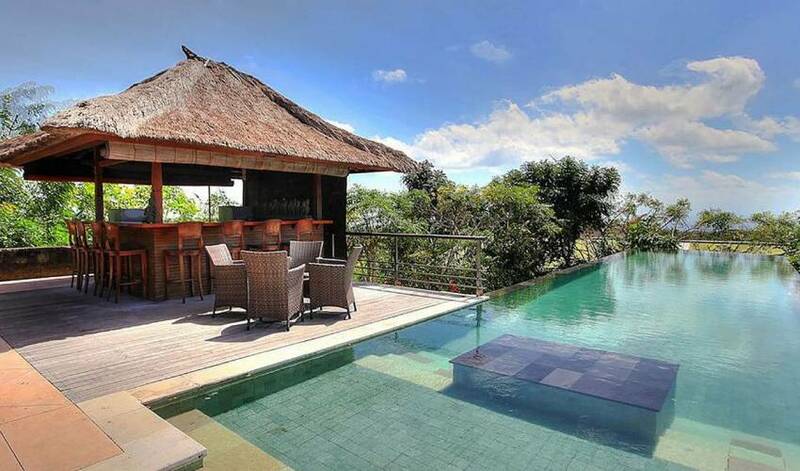 The result is a tranquil five-bedroom retreat perched upon a hillside on Bali’s Bukit Peninsula with a beautiful view of the ocean, distant volcanoes and Bali’s south-west coastline. 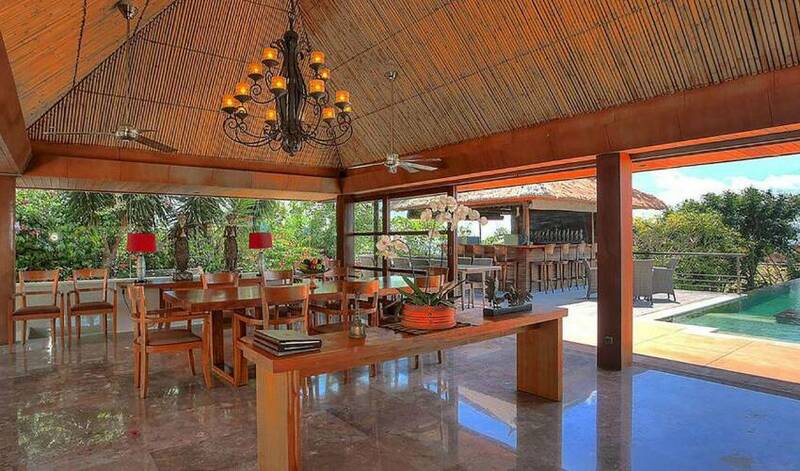 The villa is an ideal choice for family holidays, and has earned a well-deserved reputation as a superb wedding and events venue. This out-of-town villa with its cool breezes and serene ambiance provides a host of facilities for your entertainment and pleasure; these include a 16-metre infinity-edge swimming pool that juts out dramatically above the forested hillside, a well-equipped fitness room, cosy TV room with surround-sound and a library of movies, and a semi-open games room with pool table. 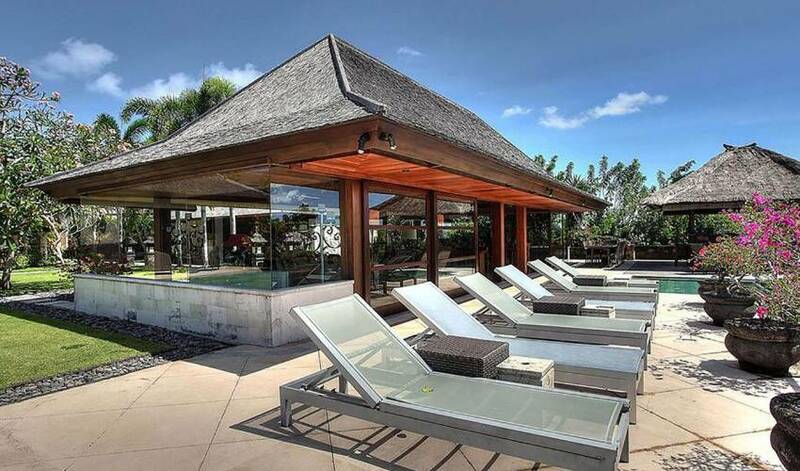 Further indulgences come in the form of a spa room and accompanying jacuzzi tub, a thatched poolside bar pavilion, and an excellent team of staff, including an in-house chef. Kids of all ages will enjoy our fine selection of games ranging from pool, petanque and darts to a stack of board games. 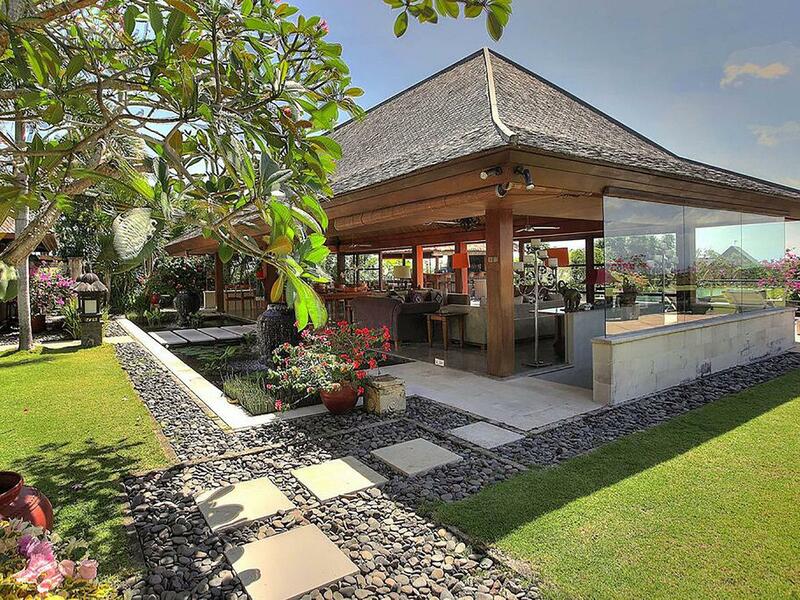 If, despite all these diversions, you wish to explore further afield, you’ll find that the neighbourhood is blessed with some of the most idyllic beaches in Bali, as well as a world-class golf course. What’s more, a car and driver are on standby at a reasonable daily rate. Guests looking for a little extra space, and romantic couples travelling alone, need look no further than the delightful, self-contained Villa Bulan Maduhoneymoon suite. 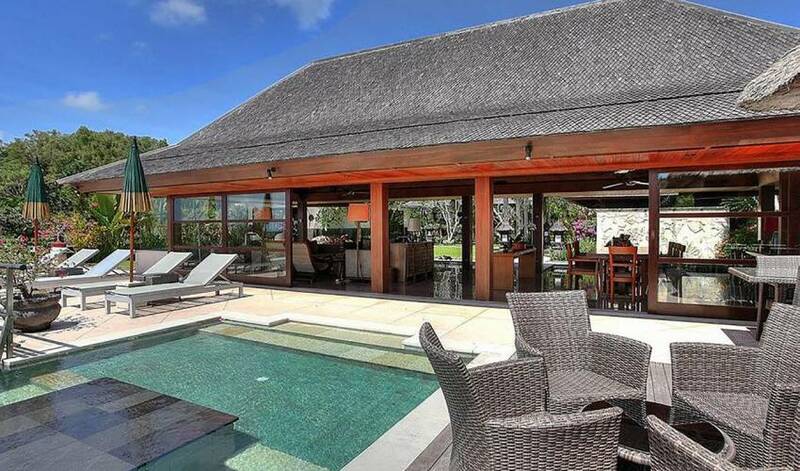 Complete with its own private entrance and pool, this little love shack can be rented independently or in conjunction with the main five-bedroom villa. The name Indah Manis means beautiful and sweet. We hope that you will find it to be beautifully presented and delightfully palatable, imparting the sweetest of tastes. 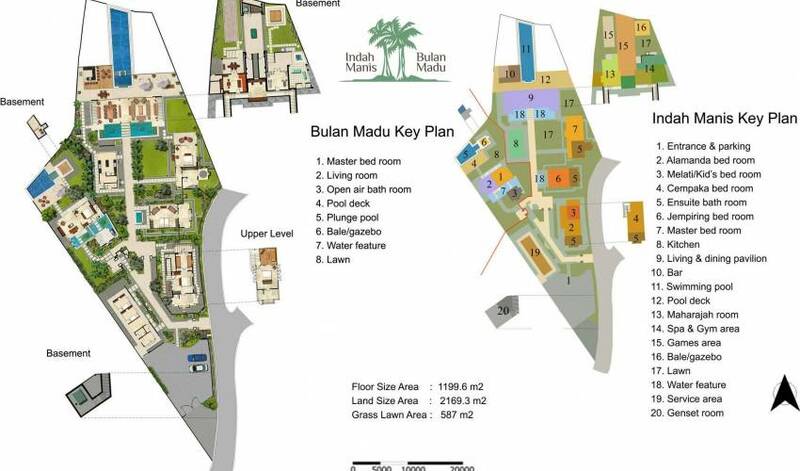 Welcome to Bulan Madu, one of Bali’s most romantic one-bedroom villas (Bulan Madu actually means honeymoon), built with your privacy, seclusion and comfort first and foremost in mind. What dreamier place has there ever been in the lovers’ lexicon of myth and fantasy? In choosing the villa’s location and design we pulled out all the stops, while at the same time providing you with the first class service and amenities you would expect from a five-star villa. Our staff are on hand to cook, clean and drive for you when needed, but they are also masters of discretion thus allowing you to be as free as you like to enjoy the sea breezes and views from your eagle’s eyrie. Rest assured, no one can see in to your hilltop perch apart from the occasional seabird that flies overhead. In the bedroom, which opens widely onto the private pool and gardens, a king-size bed entices with sheer green and gold drapes. Stepping out of the bedroom over stones bridging a fishpond, you enter the open-sided bathroom, vast in its scope and stunning in its simplicity, with a sunken, petal-filled soaking tub, washbasin and rain shower. 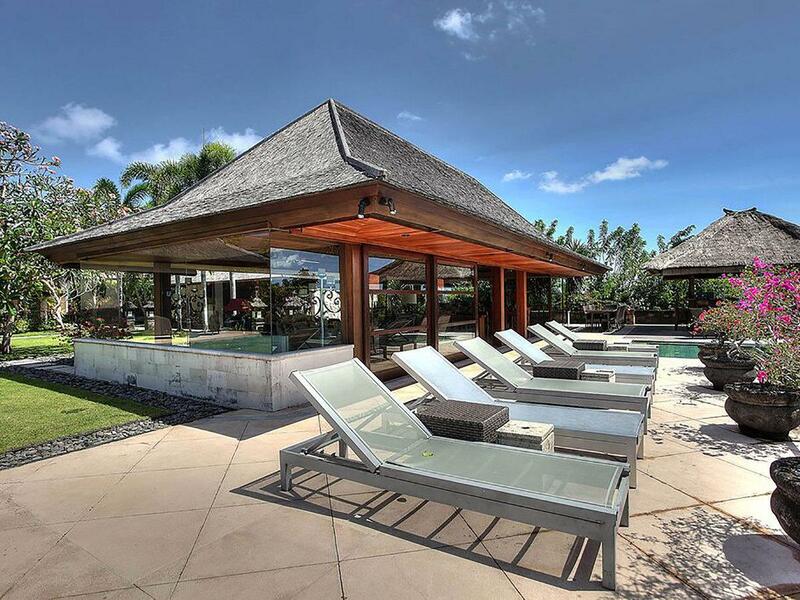 A simple living area offers respite from the sun, while a generous lawn and twin sun loungers sit shaded by frangipani trees next to the swimming pool. 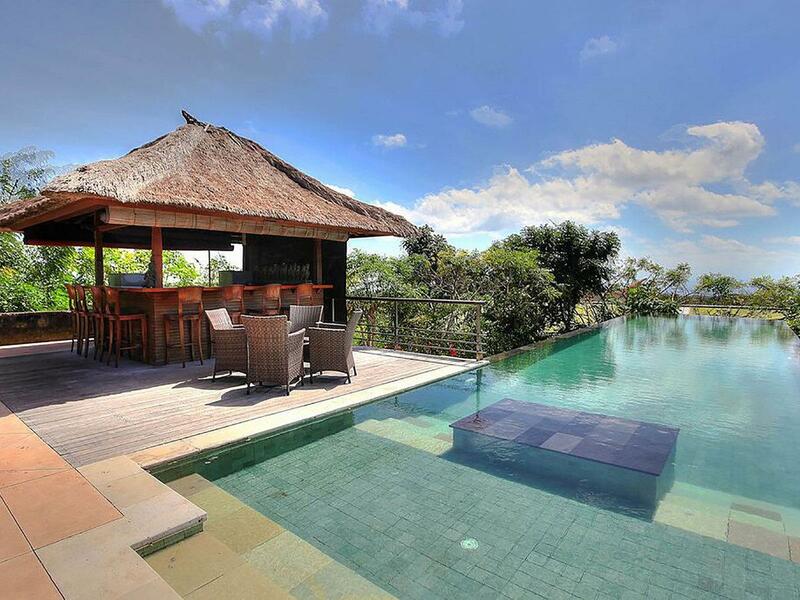 Take a dip, rest against the infinity edge, and look across the treetops towards the sunset and the Indian Ocean. If you tire of all this then the soft-cushioned balé bengong (daydreaming pavilion) in the garden is the ideal place to contentedly doze the afternoon away. 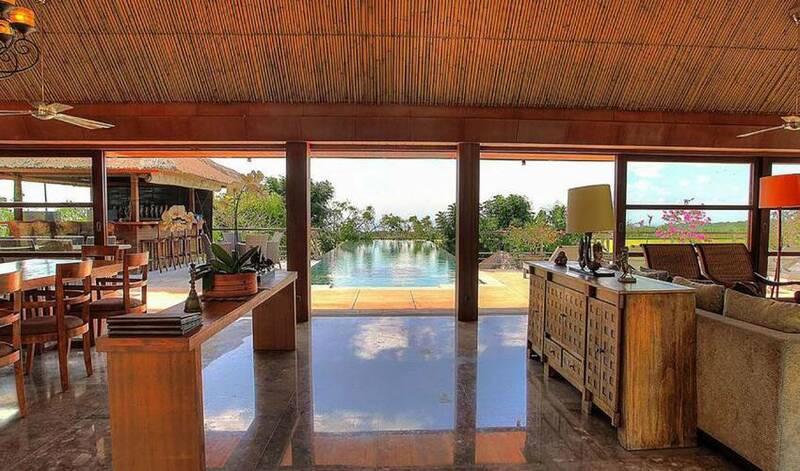 The villa estate is located far from the madding crowd, a couple of kilometres from the ocean in a rural area of Bali’s beautiful and rugged Bukit Peninsula. 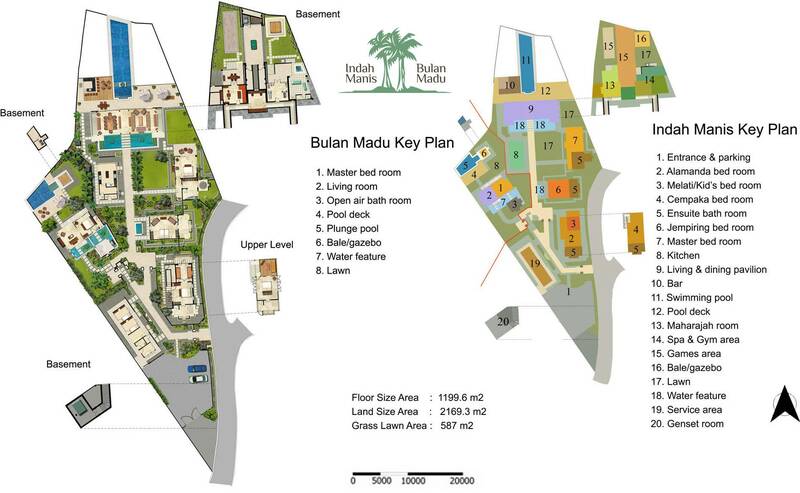 Amenities within walking distance of the villas are few; limited to the tiny village of Pecatu, thus the services of a car and driver are essential for guests wishing to explore. Some of Bali’s best beaches are easily reached by car, as are some great restaurants, cultural activities, shops, cafes and golf courses.